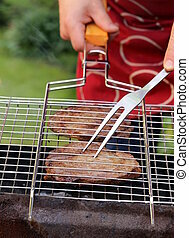 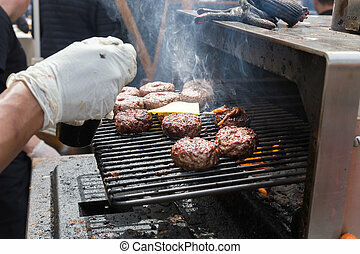 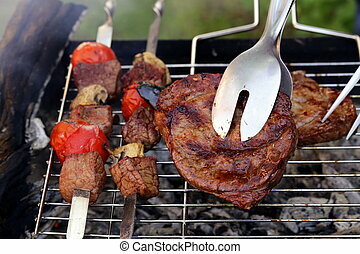 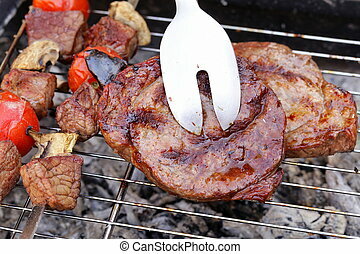 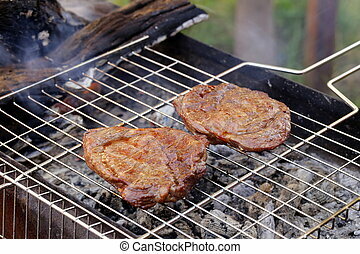 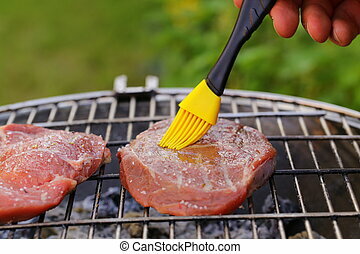 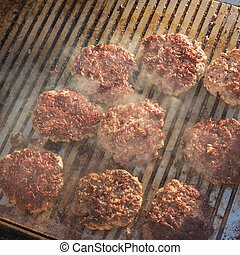 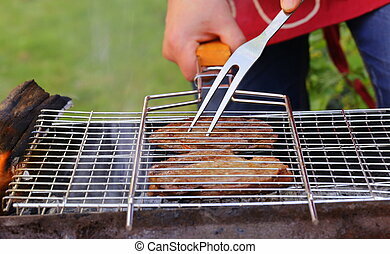 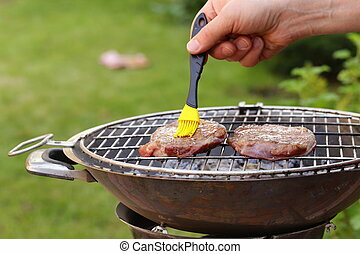 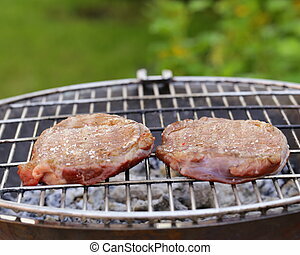 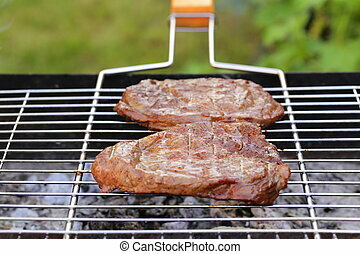 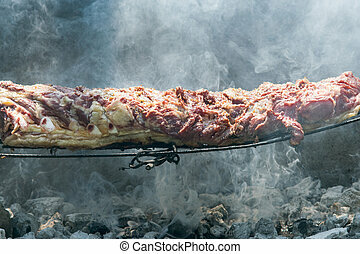 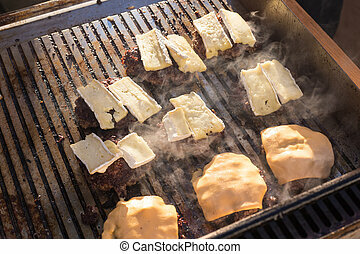 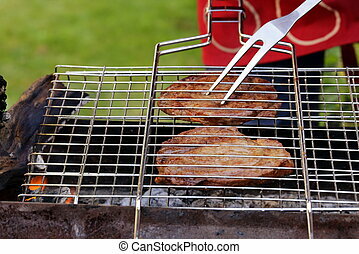 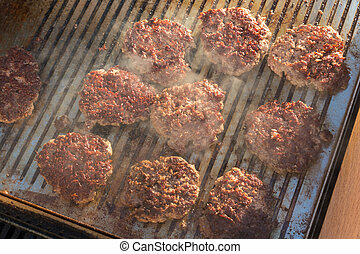 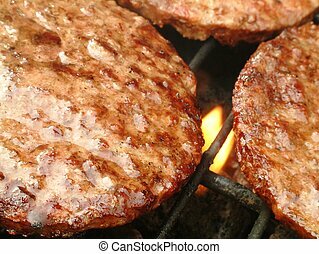 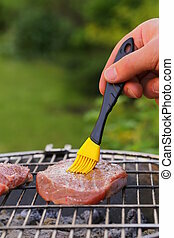 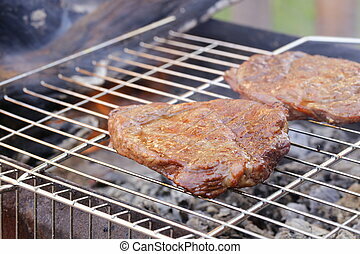 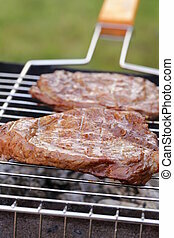 Beef burgers being grilled on barbecue. 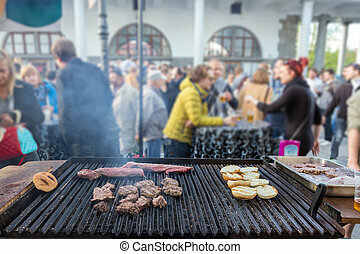 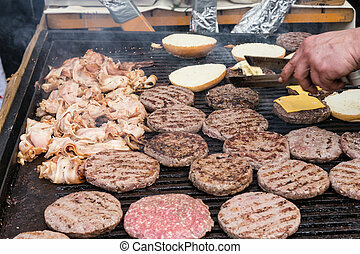 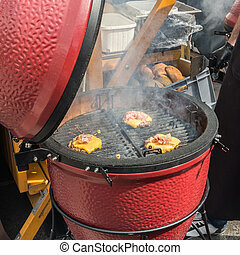 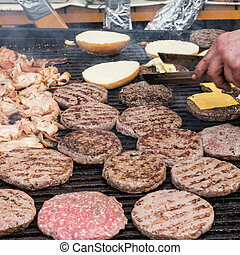 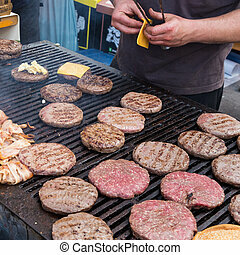 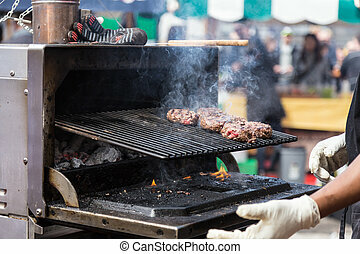 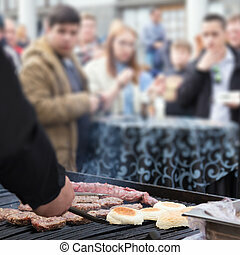 Beef burgers being grilled on food stall grill on international street food festival event. 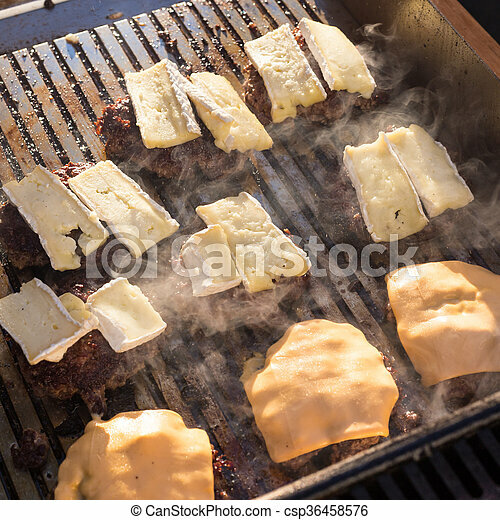 Beef Burgers Being Grilled On Barbecue. 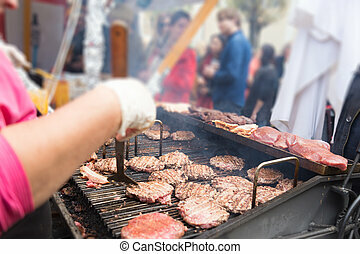 Beef burgers being grilled on food stall grill on international street food festival event. 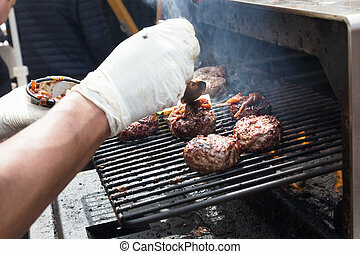 Chef making beef burgers outdoor on open kitchen international food festival event. 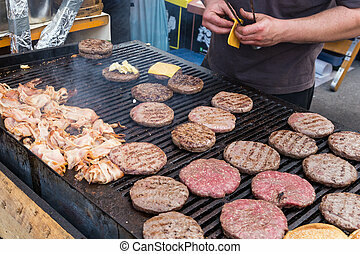 Street food ready to serve on a food stall.